David Cage, the outspoken Founder of French studio Quantic Dream, has been interviewed by French website LesNumeriques as part of the ongoing Detroit: Become Human press tour. When asked whether Sony had ever imposed any decision, such as the choice of actors, on Quantic Dream, David Cage replied that was never the case. He also complimented Sony on their capacity to deliver great single player games. These are different experiences. It may be a story of generations, but also of moments. There are fans of multiplayer games that, from time to time, are very happy to end up in a God of War or a Detroit. There is room for everyone. 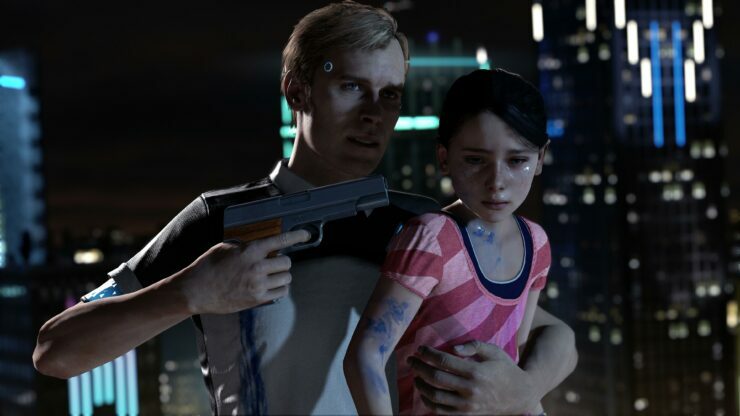 Last but not least, David Cage replied that Detroit: Become Human (set to release exclusively for PlayStation 4 on May 25th) was worked on by about 200 developers with a budget near the ‘bottom’ of the AAA range. If you’re curious about the game, there’s a free demo available for download via PlayStation Store.